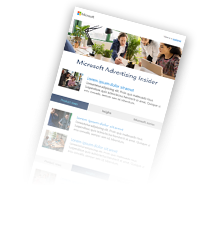 *Join Claire for the Art & Science of Bing Ads Reporting webcast on November 17th at 11AM PST! To begin segmenting your performance data, click Segment in the toolbar above your table, and the segment you’re interested in. 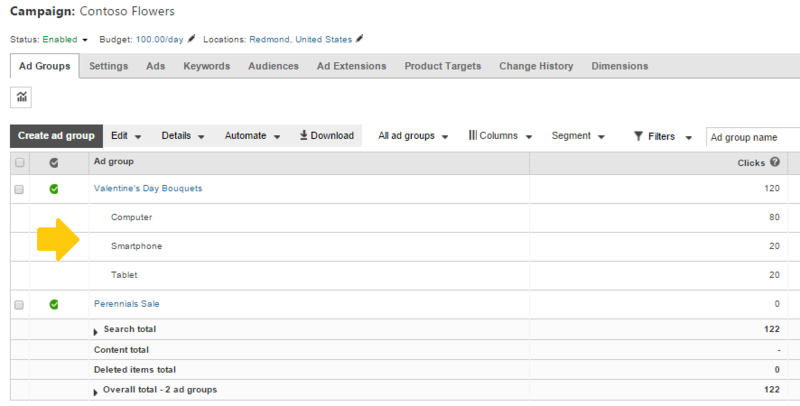 For example, select Device Type to see which devices your audience is using when they see your ad. For details, please visit this Help page. Want to share your findings with your clients or colleagues? Simply download the data directly from the table into a .csv or Excel report. Click Download from the toolbar, your format preference, what you want to segment your data by, and you’re good to go. The downloaded file will also reflect whatever columns and filters you’ve applied to your grid. Segment by Time to identify when your ad gets the most engagement. Based on what you find, you may want to adjustment your ad schedule targeting accordingly. Segment by Device to identify whether mobile, PC, or tablet are more or less significant to your campaign’s success. Use this insight to help focus your web design efforts, and also adjust your device targeting. Segment by Top vs. Other, which will show you how the performance of your mainline and sidebar ads compare. Knowing this can help you refine your keyword bids to optimize ad performance, increase ROI, and improve your ad rank.